Former Man Utd coach Sir Alex Ferguson will be returning to Manchester United if Louis Van Gaal is sacked and Assistant manager Ryan Giggs is given the role of Head coach at Manchester United. 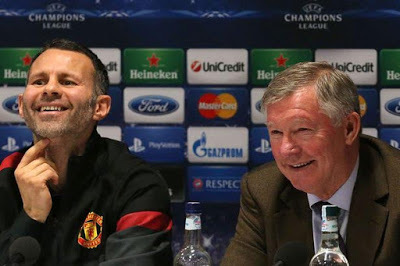 According to MirrorSport, Sir Alex Ferguson will take up a hands on role and assist Ryan Giggs from now till the end of the season if he is appointed as the new manager because of his close relationship with his former coach and his desire to see Man Utd progress under the Welshman. Whether the Ferguson story is true or not, the underlying point is that LVG is walking a tightrope once again. United are currently sixth in the division, and fears are starting to heighten that the Red Devils will not qualify for the Champions League next season.